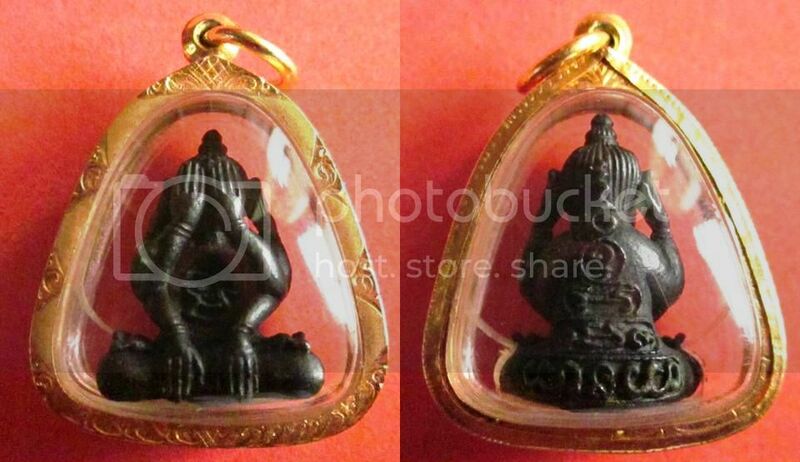 It is one of the most popular Phra Pidta amulets ever created by Luang Phor Koon. 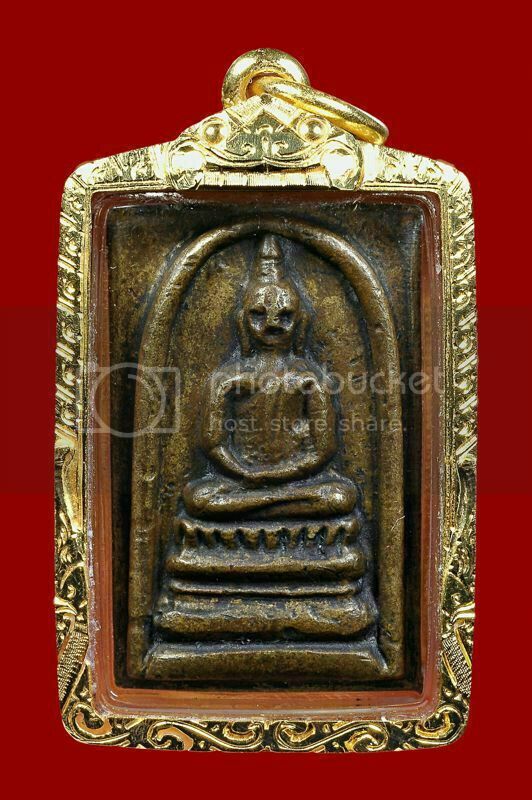 Every piece of Phra Pidta amulet of this batch was inserted with a Takrut ThongKam (Gold takrut) underneath the amulet. 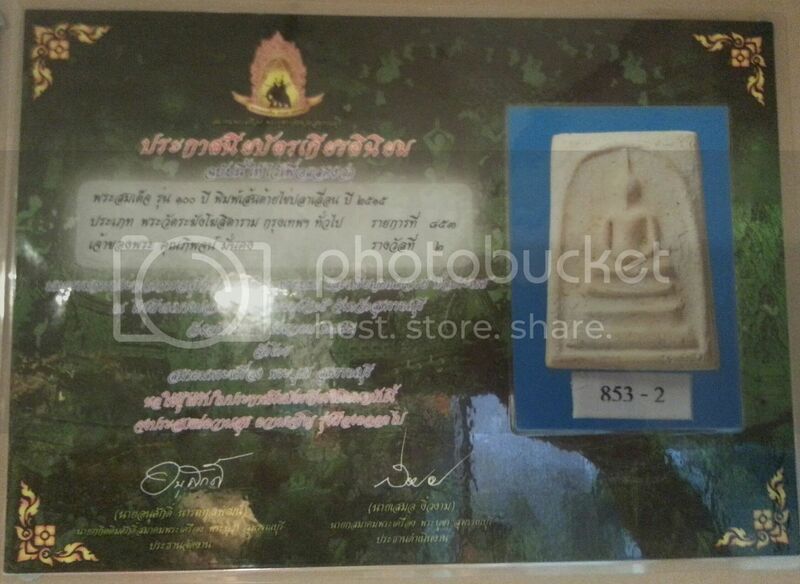 This piece is maintained in very good condition and had won 1st placing in competition. 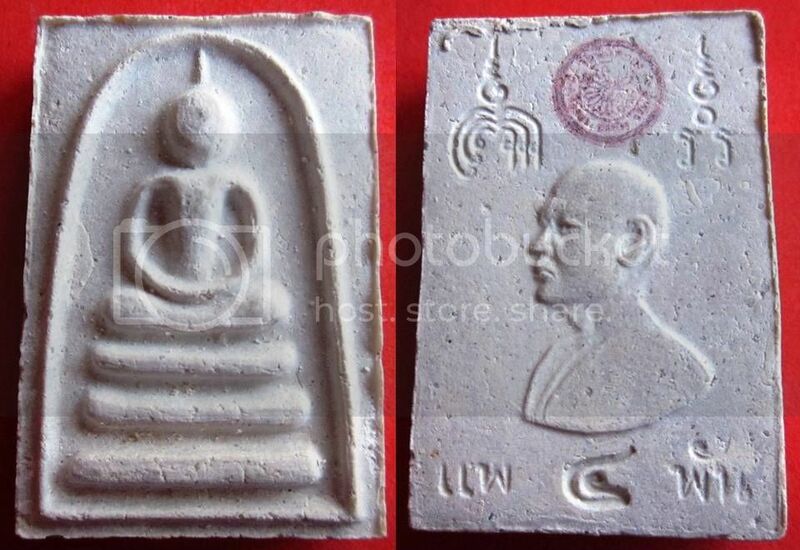 Sharing a LP Thuad Nur Gao (old powder)/khao (white), Wat Prasat, BE2506. 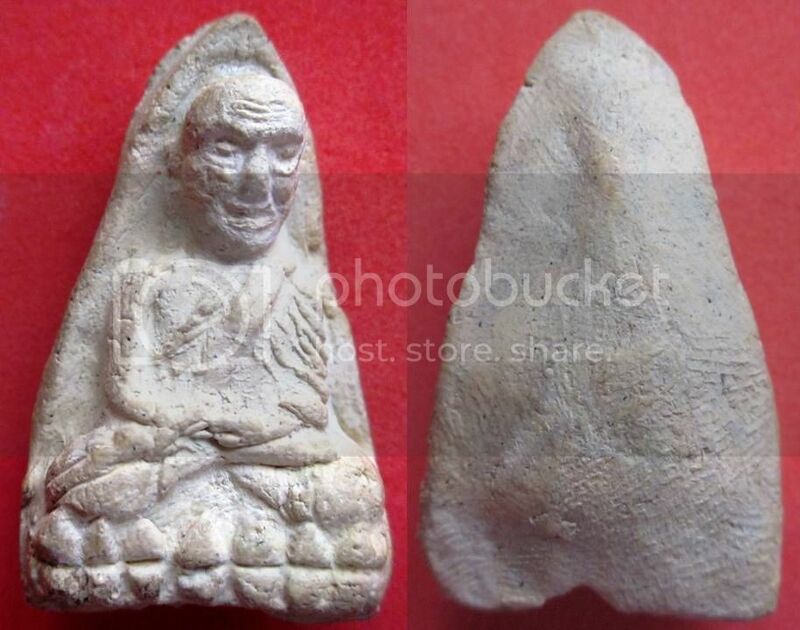 This piece is maintained in good condition and has won 2nd placing in competition. 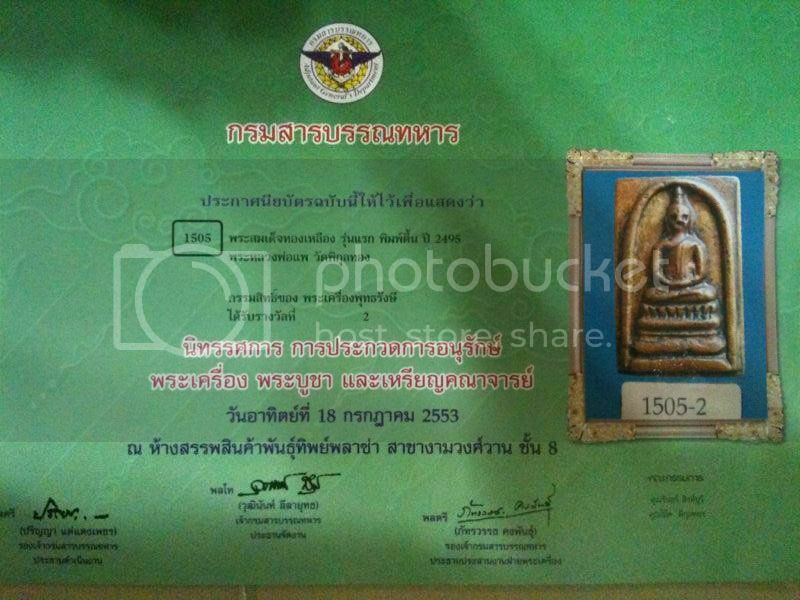 It also come with a Certificate of Authenticity from Thai Buddha Image Admiration Association. 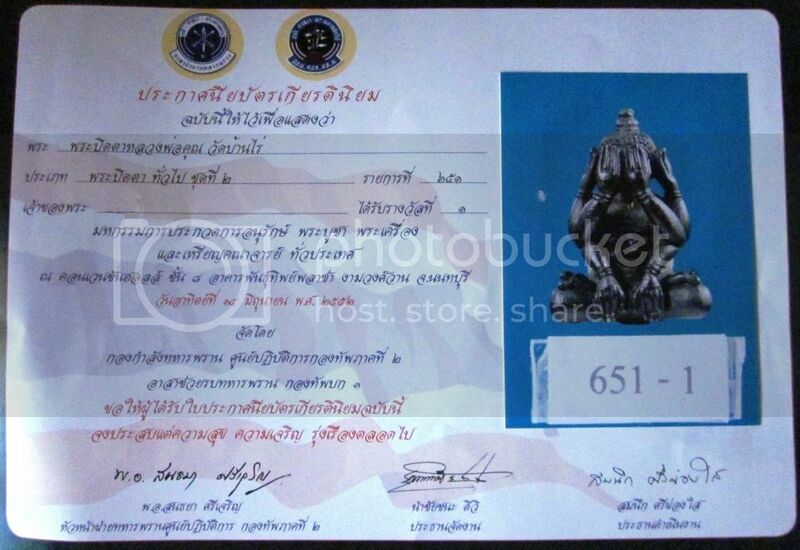 Sharing a Phra Somdej Pae See Pan (4th batch), LP Pae, Wat Pikulthong, Singburi Province, BE2534. 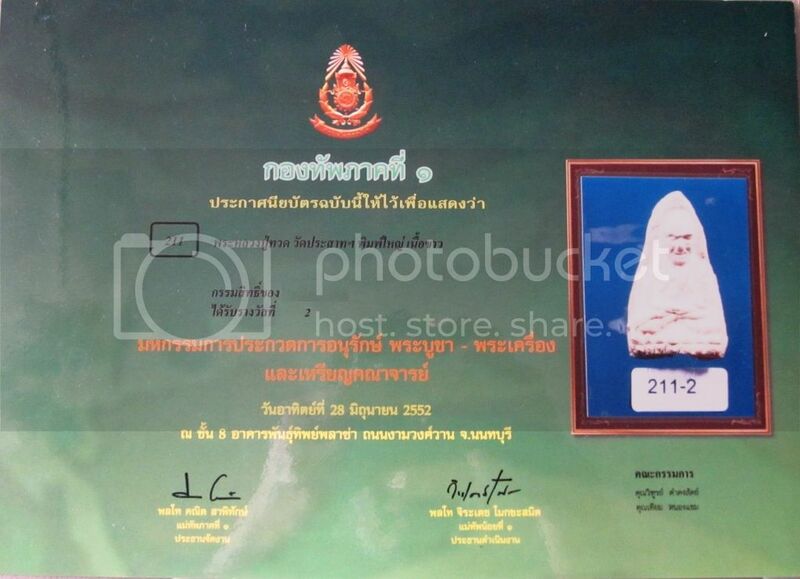 This pc is unworn and had won 2nd placing in competition. 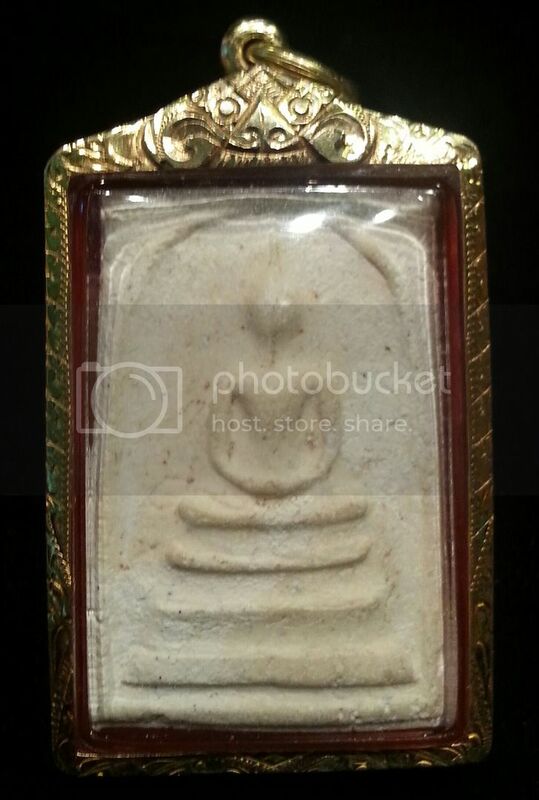 Sharing a Phra Somdej, Pim Luck (Deep Mould), 1st Batch, LP Pae, Wat Pikulthong, BE2494. 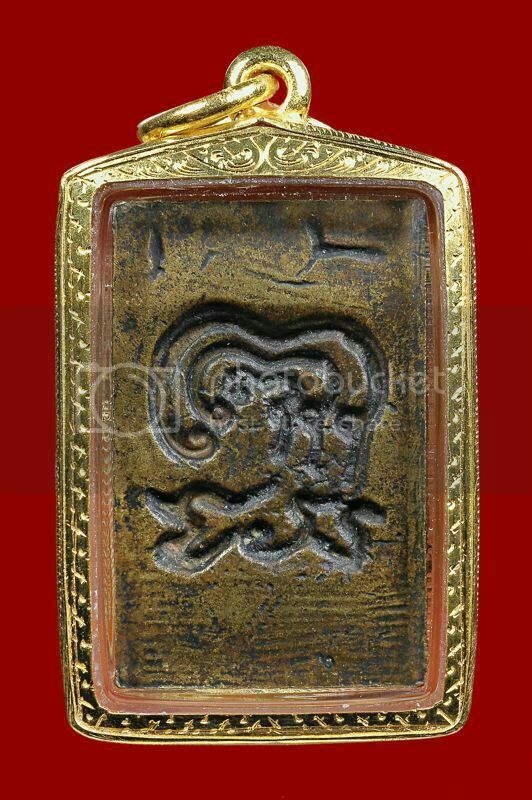 This piece has won 2nd placing in competition. 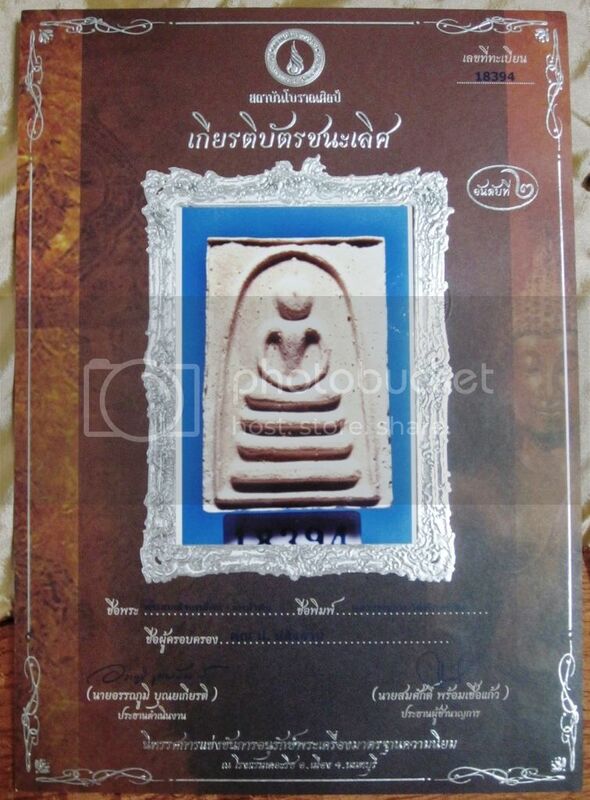 Sharing a Phra Somdej Roi Pee (Phim Sendai), (100th Year Anniversary passing of Somdej Toh), Wat Rakhang, Bangkok, BE 2515. 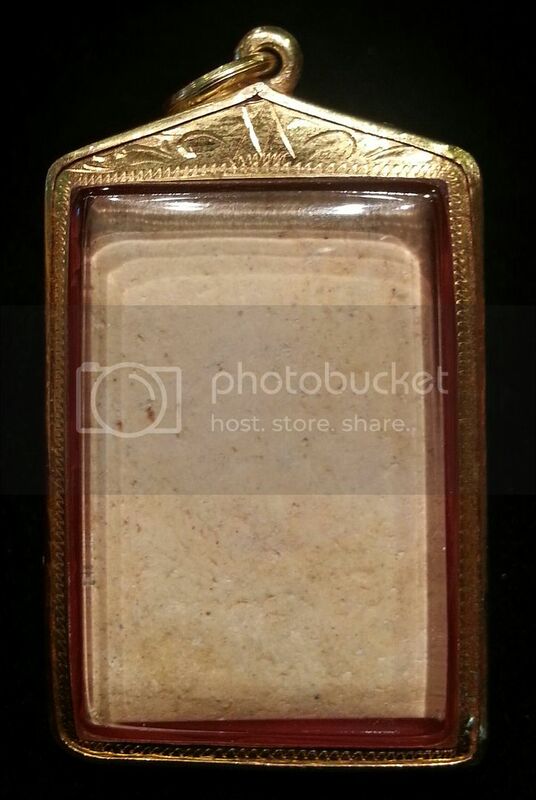 This piece has won 2nd placing in competition.